What is BRCA 1/2 Test™? Test BRCA1 i BRCA2™ The BRCA1 and BRCA2 test is a genetic screening test performed using the Next Generation Diagnosis (NGS) technique. It aims at detecting a mutation in the sequence coding both BRCA genes. The test allows determining whether a given individual is exposed to the higher risk of developing breast and/or ovarian cancer, connected with carrying the specific mutations in BRCA genes. Sequencing using the NGS technique allows the complete analysis of both genes in order to determine whether there are point mutations in their sequence in a given sample. The molecular and biological effect of the variants found in the patient is determined. The patient receives also the data on the clinical significance of the detected changes. In order to obtain this information, the available literature sources and information is used collected in the databases including HGMD Professional, NCBI ClinVar, dbSNP, Exome Variant Server, 1000 Genomes Project and BIC. In the case of changes which have not been described, their pathogenicity is established with the use of bioinformatic prediction algorithms including Mutation Taster, SIFT, PolyPhen-2, Mutation Assessor, and other. In the result of the test, the patient receives the complete information on the detected variants together with the comprehensive interpretation including both the analysis of molecular importance and the relationship between the detected changes and the cancer risk. Why is it worth to perform the BRCA 1/2 Test™? A mutation detected in one of the family members may be suggestive of the occurrence of increased risk in other relatives. The information included in the result can be of high importance for the health of future generations. Those who inherit the BRCA1 and/or BRCA2 mutations may pass them on to their sons and daughters. Each child has 50% chances to inherit the mutation from their parent who carries this mutation. If a given individual knows that she or he inherited BRCA1 and/or BRCA2 mutation, this means that there is 50% probability that each of her or his brothers and sisters carries the same mutation. First in Poland BRCA 1/2 Test using NGS (Next Generation Sequencing). 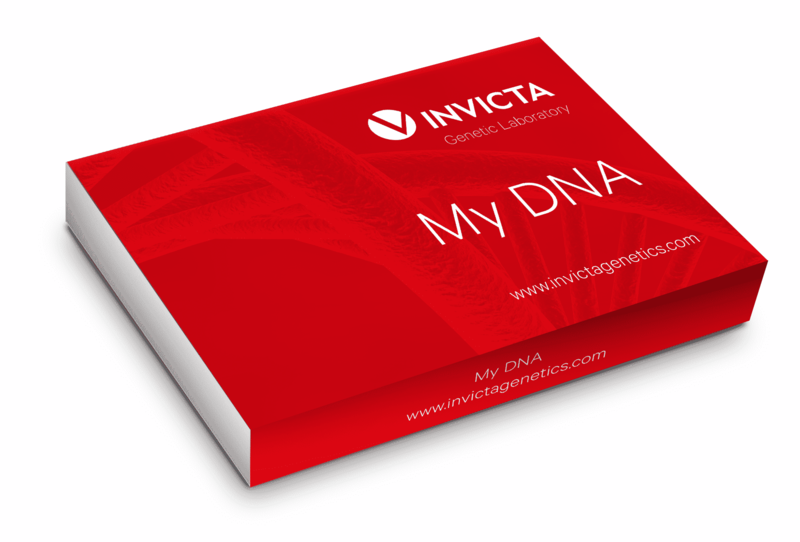 INVICTA Genetic Laboratory, November 2015. BRCA1 and BRCA2 are genes associated with the increased predisposition to develop malignancies, in particular breast cancer and ovarian cancer. These genes belong to the group of the so-called caretaker genes that produce proteins involved in maintaining genome stability. The BRCA proteins trigger repair mechanisms in response to DNA damage. In the result of mutations in these genes, the repair process does not go properly causing error accumulations in subsequent genes, which increases the risk of cancer. Figure1. It has been demonstrated that carrying a mutation in the BRCA1 gene is strongly related to the increased risk of developing breast cancer and ovarian cancer, from 60% to 85% in case of breast cancer and from 40% to 60% for ovarian cancer. NGS (Next Generation Seqiencing) It is currently the most up-to-date method in the world which ensures exceptionally precise, reliable and comprehensive result. Its application allows to identify the tiniest changes in the human genome. The presence of BRCA1 mutation is related to early onset of the disease, i.e. before 40 years of age, as well as with the increased risk of bilateral breast cancer and the increased risk of cancer in other sites, e.g. pancreas or colon. Figure 2. It has been demonstrated that carrying a mutation in the BRCA2 gene is strongly related to the increased risk of developing breast cancer and/or ovarian cancer, from 40% to 80% in case of breast cancer and from 11% to 27% as regards ovarian cancer. Moreover, the presence of BRCA2 mutation is associated with the higher risk of developing other cancers, including prostate cancer and male breast cancer. Who should undergo the BRCA 1/2 Test? The test allows analysing the entire sequence coding BRCA1 and BRCA2 genes, together with adjoining intron sequences, not less than five nucleotides. The quality of the provided sample may affect the effectiveness of sequencing of the individual regions. In cases where the indicated area coverage cannot be obtained with the use of NGS sequencing, the laboratory will try to supplement the missing fragments using the Sanger technique. 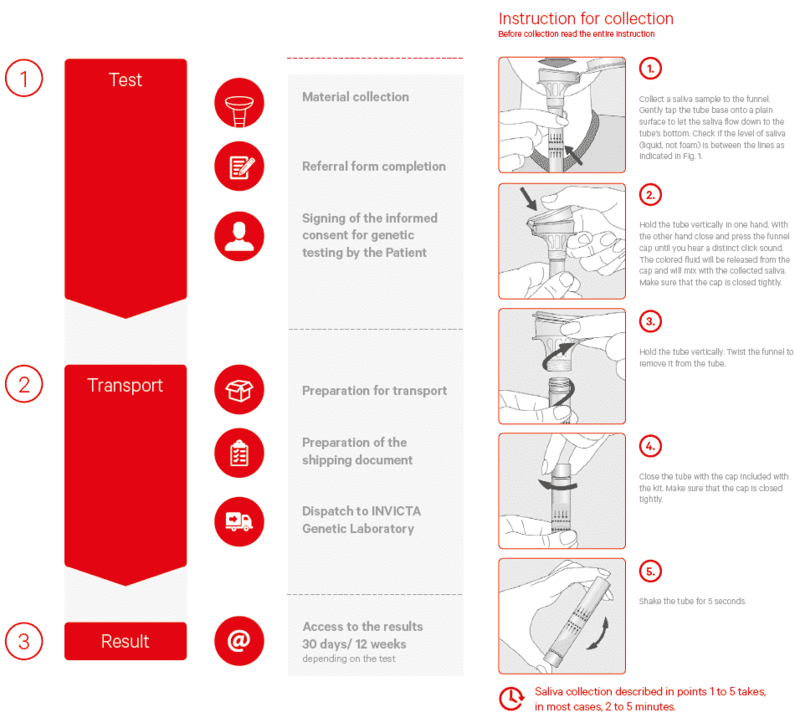 The range of the tested sequence will be provided in the test result. The depth of sequencing guaranteed in the test allows to detect germinal variants. The test has not been validated for the detection of somatic variants. Sequencing is not effective or the reliability of the result of sequencing may be low in the following situations (this is not the exhaustive list): dynamic mutations, large rearrangements, copy-number variations (CNV), uniparental disomy, epigenetic changes, mosaicism.